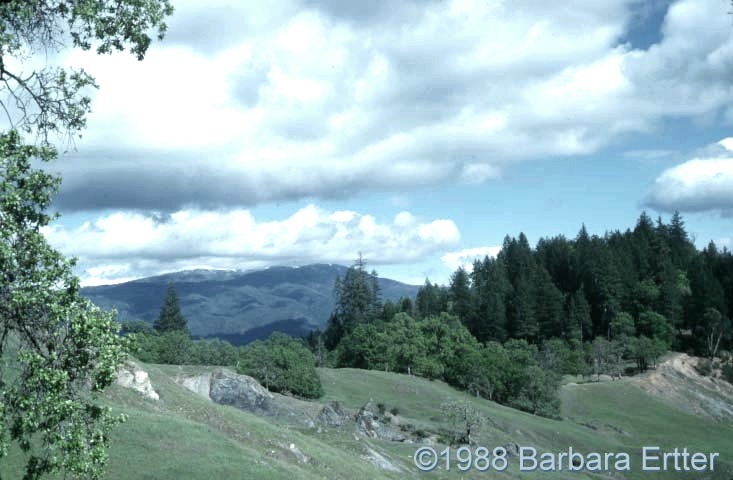 Photo: Snow Mountain, from Old Eel River Drive, May 1988. Carl Purpus, Plant Collector in Western America Snow Mountain, from Old Eel River Drive, May 1988. Snow Mountain, from Old Eel River Drive, May 1988.